"Initially, Michelle was involved in the purchase of a home when we were living in Pennsylvania and planned on moving home to Conway. Michelle showed us several homes while we were on a quick trip home (Conway) and we purchased one of those homes. Michelle was extremely patient with us as we went through the home buying process from thousands of miles away. She knew everything that we needed to know about the house and we couldn't have been more pleased with that purchase. After living in the original house, we contacted Michelle about moving to a larger home -- again in Conway. In the course of ONE WEEKEND, Michelle and Elizabeth had found a buyer for our original house, found a home meeting our new needs and we signed both contracts -- IN ONE WEEKEND!! Michelle and Elizabeth have been available to answer any and all questions even when we were asking about issues way above and beyond the "call of duty" for an agent/team. We are extremely pleased to work with Michelle and Elizabeth and would recommend them to anyone looking for a home in the Conway area." "This was not my first selling experience with Michelle Parsley and as always she handled everything that came up with no issues. This was the first time that Elizabeth Parsley-Tucker has been involved and she was excellent as well. The listing process was very easy and we were updated each time the house was shown. Once we got an offer, Michelle and Elizabeth were very helpful in making sure we had all the information we needed to put a fair deal in place and get the sale closed. I fully recommend the Parsley-Tucker team for any type of real estate transaction." "Michelle and you are the best! Your team made me feel honored to be served. Thank you do much for all that you did and continue to do!" "We thoroughly enjoyed working with you and Elizabeth! You were always extremely professional and helpful. I never doubted that our best interest was being considered and would be taken care of. It's easy to see why Team Parsley is #1 in Conway!" "We thought everything was top-notch! We can't think of anything you could do to improve!" ""I have had the honor and privilege to assist some of Michelle's client's in their home purchase. Two words immediately come to mind when I think of Michelle Parsley. The first is EXPERIENCE. You won't find a more experienced Realtor in Conway to walk you through the complex world of a real estate transaction. Michelle knows her business, and she knows it well. The second thing is: INTEGRITY. When you work with Michelle, you will immediately witness Michelle's passion and love for what she does. She is in this to make a difference in the lives of those she comes into contact with. Michelle doesn't consume her talent in the pursuit of achieving financial results. Michelle has a higher purpose that she is commited to. I highly recommend Michelle Parsley when buying or selling your home."" "Michelle was our agent. Due to her knowledge of what prospective clients were looking for, she connected a client to our listing and it was sold without ever being advertised. We also got a very reasonable price. Everyone in this town knows Michelle and she has an excellent reputation for fair dealing, knowledge of the market, matching people with properties." "Amazing realtor!!!!!!! Extremely knowledgeable about the area. I felt like she knew what I wanted and worked to help me get the right house. I also felt like she was looking out for my best interests. She told me when the comps were too low and the house was overpriced or wouldn't have a good resale value. I trusted her knowledge. I'm very picky and she was wonderful to work with. Her and Elizabeth are very responsive and professional. I can see why Michelle has won awards. This is the fourth house that I've bought in 20+ years and by far the best realtor that I've worked with. I wouldn't use anyone else.... if I move again." "I have complete trust in Michelle and will use her for every real estate transaction I am ever involved in. I would not make a move without her guidance." "My experience has been nothing but the best! Dealing with Michelle and Elizabeth is professional, easy and fun. They accommodated our every need, and would not stop until we found the perfect house for us. They are both great and I consider them friends now." "What a joy over coffee this morning--picked up the morning Log Cabin Democrat--and there you were for being the Diamond Achievement Outstanding Women in Business in Faulkner County! We are toasting you with our morning joe! Congratulations again. We are blessed because you have been a part of our life here!" "Michelle was extremely professional and always available whenever we had questions. We will highly recommend Michelle to anyone interested in buying or selling in Conway!" Pleasure to work with Michelle! 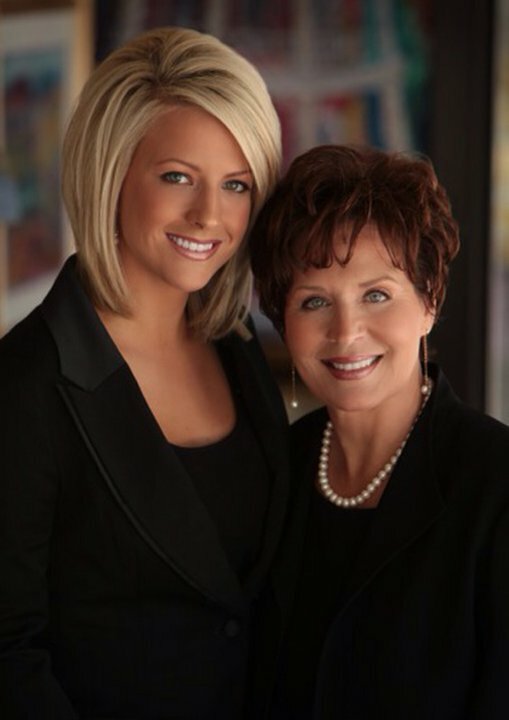 "We were very pleased with our experience when we sold our home with Michelle Parsley." "There is nothing that could have been done to make our experience any better! It was great!" ""Michelle has a reputation for always keeping the interests of her client paramount. She is assertive, focused, and reliable."" "Thank you for making our home purchase a breeze!" "I don't think there is anything to improve. It was a short-lived experience!" "Y'all are awesome, and we could not be more pleased with the care and concern you all showed us in this process!" "Michelle is an expert in her field. She knows the business and area of central Arkansas very well. She truly has her client's best interest in mind and gives professional and personal advice. Michelle and Team Parsley has guided us through 2 home purchases and one sale. She and her team receive my highest recommendation."